If you’re looking for a guitar for blues, there are plenty of fine acoustic guitars out there if you know what you’re looking for. In this article, I’m going to walk you through all the things you need to consider when searching for the best blues acoustic guitar. Ok, here’s what we cover in this article. What Makes an Acoustic Guitar Perfect for Blues? There are plenty of superb electric guitars for blues, but in this article, we’re focusing on acoustics. So what makes an acoustic perfect for blues? Well, for a start, the body tends to be smaller. Blues players prefer smaller body guitars for one simple reason: they produce less sustain than larger bodies, and bring out high-end frequencies that can produce piercing notes (note: blues music doesn’t take particularly well to sustain, and guitarists try to avoid it). In terms of tonewoods, mahogany is the preference for its punchy qualities and darker sound. It brings out mid-range tones, giving the tone more clarity (and gets better as it matures with age). X bracing (as opposed to Ladder bracing used back in the day) is commonly seen on acoustics built for the blues to help with sound projection which gives you a tighter, more focused mid-range sound. The X refers to the wooden struts that are used to support the guitar’s top (it’s arranged in an X shape). Traditionally, these guitars also have slotted headstocks. They’re called ‘slotted’ headstocks because the strings go through bars which are slotted into the headstock. Some believe this produces a crisper tone than a solid headstock. However, this tonal difference is debatable, and many people choose slotted over solid for aesthetics alone. Finally, there’s another type of acoustic blues guitar called a ‘Resonator’ that uses metal cones to amplify the sound and are often favored by bottleneck/slide players thanks to their high action and distinctive tone. They’re often played in ‘lap steel style’, where you lie one across your lap to play it. However, they can also be held conventionally. So, now you know what to look out for, let’s have a look at some of the best products on the market. The Gretsch G9511 is a 12-fret guitar with laminated mahogany backs and sides, and a solid Sitka spruce top. The sound is rich and resonant, with a surprising amount of volume owing to its X bracing. The low bridge also gives it a fullness which is silky as well as clean. There are open back tuners which give it a more vintage appearance, and there’s a larger lower bout than upper bout like the L series Gibsons. The fingerboard is rosewood, guaranteeing a smooth playing experience and adding to the silkiness of the tone, and it has a slim, C shaped neck which makes it easy to handle and comfortable to play. There are no strap-buttons, which some players might miss but its so light that you don’t really need them. It will be suited to players who like the richness of a 12-fret guitar and have a smaller frame – it’s not the most appropriate for slide/bottleneck style playing either. X bracing boosts the mid tones and makes this instrument sound both full and pristine. Solid Sitka spruce top and laminated mahogany backs and sides deliver an excellent resonance. 12 fret neck enables a warmer, more rich sound. 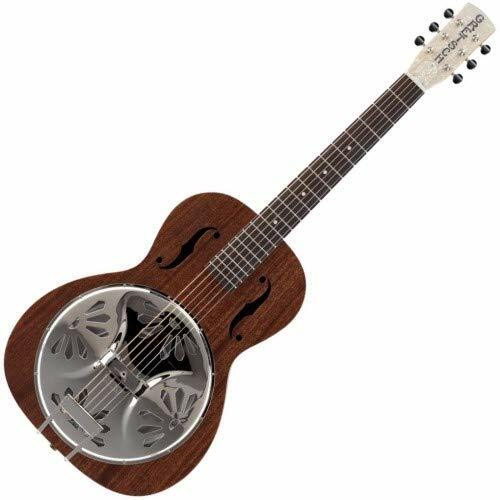 The Gretsch G9200 is a resonator (see above if you don’t know what one is). Its body, back, top and sides are all made of laminated mahogany, giving it a tone that’s consistently rich. The neck shape is a soft V, making it seem extra old-school, and it has a long body design in keeping with 1930s resonators. The cones are made of pure aluminum, giving them an impressive volume and quality and making this an excellent choice for players wishing to play slide. There are no strap buttons, but it’s unlikely that you’d need them if you’re playing with it across your lap. The headstock is also solid, with ‘GRETSCH’ written in huge letters to proudly exhibit that you’re playing an instrument of quality. Resonators work great for slide guitar, and this one is no exception. The G9200 will be less suited to players of fingerstyle or fingerpicking. Laminated mahogany back, top and sides give it a rich resonance. 12 fret neck enables a warm, rich sound. Aluminum resonator cone delivers an impressive volume and exceptional quality of tone. 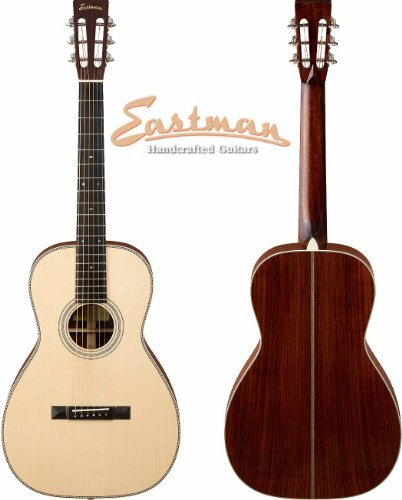 The Eastman E20 Parlor has solid rosewood back and sides, giving it a warm, smooth and high-quality sound. There is also hand-carved X bracing, which gives it an organic richness and encourages precision of tone. There are 12 frets before the neck reaches the body and a C-shaped neck. There’s a solid Adirondack spruce top which makes it sing and the fingerboard, bridge and bridge pins are all ebony. It also has a slotted headstock, so it really looks true to those vintage blues guitars. It comes with your choice of LR Baggs, SL or Element electronics, so you can plug it in on stage. All in all, this is a very nice guitar, and at this price, only those seriously interested in blues music will be interested – with its short scale it will suit those people with a small frame. Solid Adirondack spruce top offers a superior resonance and fine craftsmanship. Hand-carved X bracing is well-built and produces a sound that’s precise yet rich. Solid rosewood back and sides give it a warm, smooth sound. 12 fret neck and slotted headstock. 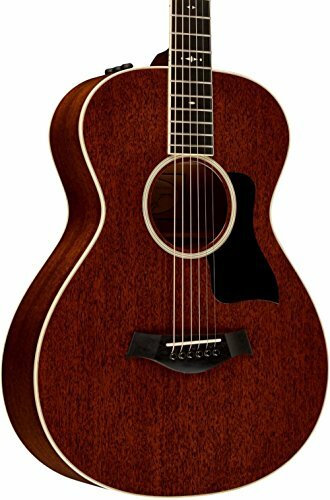 The Martin 000-15M is made entirely of solid mahogany giving it a rich, warm tone. There’s a 14 fret neck on this one which increases your fretting options and gives it a brighter attack then 12 fret guitars. It uses X bracing to boost volume and added sound depth and both the fingerboard and the head plate are made of solid East Indian rosewood. The neck is a modified low oval shape, so it’s comfortable to hold. It looks and sounds smooth, and can come with a premium fitted pickup – though this is a limited edition bonus feature. With or without the pickup, the tone is both classic and quality and even benefits from a solid Sitka spruce top. Like the Eastman, the Martin 000-15M is perfect for the professional musician who plays the blues. The 14 fret neck might be better suited to those with a larger frame, or those who prefer a brighter sound. It also has a solid headstock, which some prefer over slotted headstocks. It will be less suited to musicians who require a small scale, or those looking for a slide guitar. Solid mahogany neck, top back, and sides give it a rich, warm tone. 14 fret neck gives it a bright attack and increases your fretting options. X bracing boosts the mid-tones, giving it a full sound. Doesn’t always come with internal electronics. 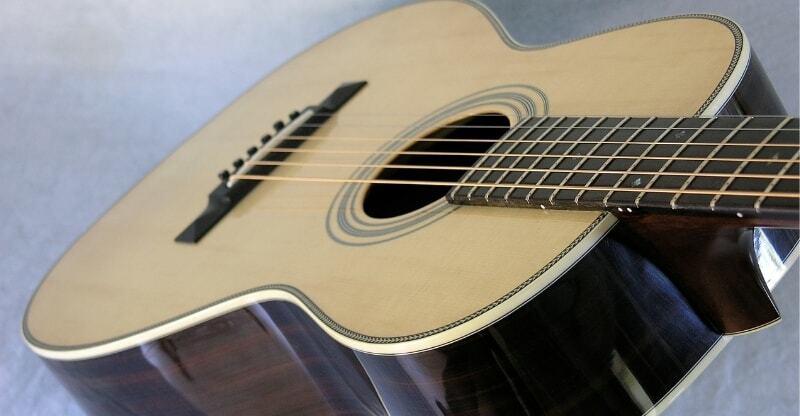 The Taylor 522e is a 12 fret electro-acoustic guitar which is made entirely of solid mahogany. 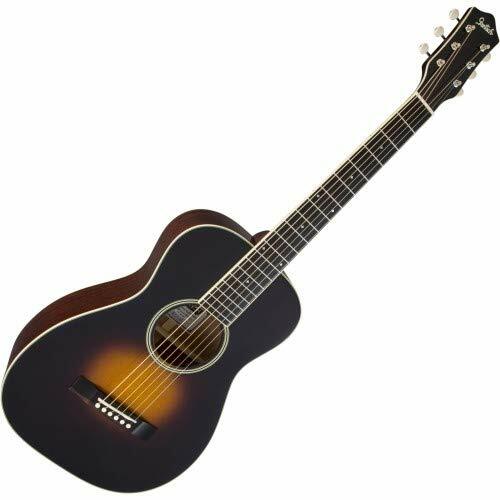 It has a rich tone both acoustically and plugged in, and the built-in pickup and superb preamp are designed by Taylor using their ever-improving technology. There is also innovative bracing, to bring out the best tones for its specific shape, as well as a slotted headstock, making it true to the aesthetic of vintage guitars and V-shaped necks. The Taylor 522e is a great looking, excellent sounding guitar which is well suited to the stage as well as in the studio. It will be less suited to musicians looking for a purely acoustic instrument. 12 fret neck gives it a vintage vibe and enables a warmer, more rich sound. Solid mahogany top, back, and sides give it a rich resonance. Includes two pickups and preamp, which provides natural sounding amplification. As you can see, there are several decent options on the market, and the one you choose will mostly be dependent on your budget, body size and your style of playing. If you’re a slide fanatic, the resonator Gretsch G9200 will be the best option for laying on your lap and running a bottleneck down. On a budget? The Gretsch G9511 is an excellent option. 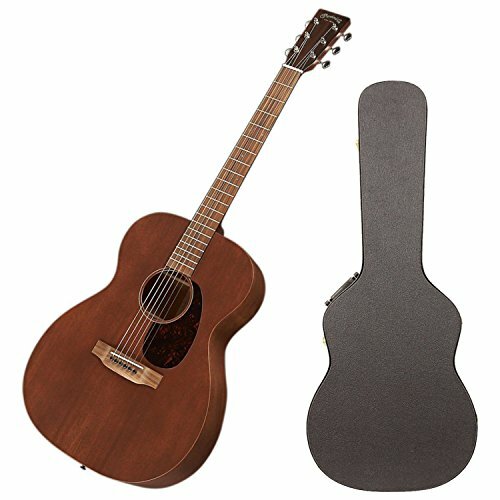 Those looking for something to be used professionally have the choice between the Eastman E20 Parlor, the Martin 000-15M or the Taylor 522e for acoustic. The Eastman and the Taylor are both 12 fret guitars, giving them a warmth as well as a vintage vibe. The Martin has 14 frets before the neck meets the body, which some people may prefer as it gives you more options and can be easier to hold for those with a larger frame.